Usually I post online and reach out to people for advice / recommendations before I travel. This was one trip I had to keep under wraps, it was a surprise holiday for Mr Suri. With his birthday falling midweek I planned this trip for the weekend before to celebrate this special occasion. I’ve only just come back from Lisbon?! Yes, I know. But traveling is something I have always wanted to do, I love experiencing new adventures, visiting new cities, being surrounded by wonderful architecture and meeting new people. I am by no means ‘minted’ I work hard on my 9-5 and try to freelance wherever possible. If you want something in life you have to go get it, no one else will offer you the things you desire. I cut back on my daily spending and saved my cotton socks off for this trip, it was all worthwhile. I truly believe we make our own luck in life, I surround myself with positive go getters, people with aspirations, kind natured human beings with a focus and drive in life that in turn motivates me. Mr. Singh (Gurps) being one of them, he is one of the funniest, caring, loyal individuals I know. Therefore he deserves the best possible birthday celebrations, after all birthdays are a day to make someone feel special, loved and feel excited for what the next year holds for them. 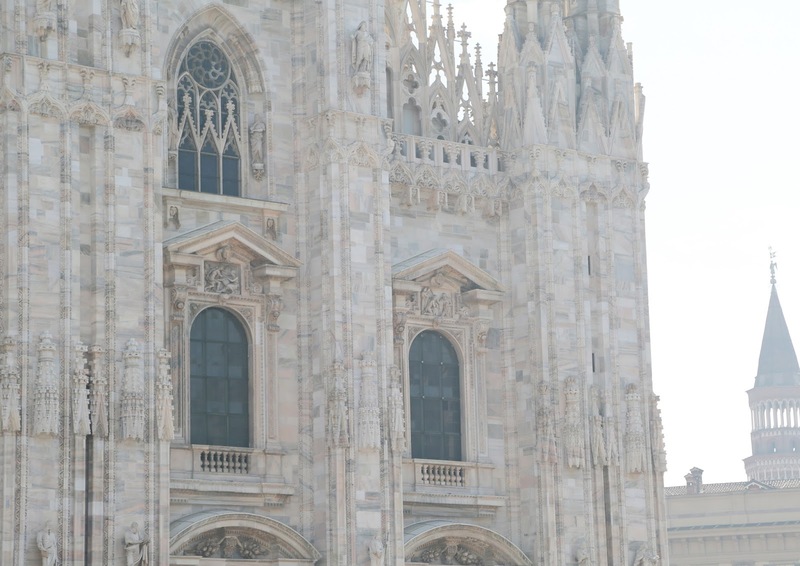 Obviously, I couldn’t just visit Milan and not bring something back for the blog, I had a million and one ideas running through my head when I saw pictures of the Duomo, seeing it in person most certainly did not disappoint. STUNNING, absolutely mind blowing design, detail and craftsmanship. I booked a tour of the rooftops and around the outside of the Duomo. We definitely learnt a lot and thoroughly enjoyed this wonderful piece of art. We shot this just before heading off to the airport to fly back home, the main square was buzzing with tourists, Milan fashion week stylist’s, models, bloggers, editors, locals, pigeons, you name it the square had it. As I mentioned in one of my Instagram pictures, I tend to get carried away when I go abroad and buy every fashion magazine I can, so at this point my little suitcase was popping at the seams, the only way to resolve this issue was to wear as much clothing as possible to free up space! I am currently working on a Lisbon tour guide, where to go, what to do, and what I recommend for you guys. It will be a mixture of illustrations, photographs, bits and bobs I picked up on the way and random doodles I made on the trip. Coming soon!! !